Crafting With Vinyl Graphics: What Do Artists And Retailers Want From Their Art Supplies? Could a change in vinyl transfer tape kickstart sales at your craft store? U.S. craft stores hardly starve for their art - the industry rakes in nearly $30 billion in annual revenue, according to the latest statistics from the Craft and Hobby Association. The most popular projects based on household participation include drawing, scrapbooking, crocheting and woodworking, to name a few. Does your craft store offer vinyl graphic printing services and/or pre-made prints? If so, that's a smart move - adhesive vinyl graphics attract businesses looking to spend handsomely on large-format signage as well as a flood of everyday hobbyists hoping to find low-cost accents for their latest masterpiece. With graphics printing, you capture both markets while differentiating yourself from the conventional competition. Craft stores with graphics printing, however, ought not to merely offer the services and the goods, but also find new and interesting ways to capitalize on each, especially at a time when the industry faces its fair share of challenges. A change of vinyl graphics transfer tape could do the trick. How do you stock your pre-made vinyl decals or large signage? That all depends on what won't upset sensitive traditional transfer tapes, which buckle, bubble and unfurl when they're rolled or sit on a shelf for too long. Crafting brings out the artist in all of us. No wonder it's a multibillion-dollar industry. TransferRite clings tightly to its backing after cutting and is specially engineered to resist environmental factors that lead to channeling or dog-ears. A stronger seal on graphics products prevents inventory shrinkage, allowing businesses to plan more strategically and assuring quality to skeptical shoppers. As vinyl graphics advance in their capabilities, so too must adhesive transfer tapes. That means coupling a beautiful design with vinyl transfer products that have strength, flexibility and the right amount of tack for a clean, pain-free application, no matter the surface. So whether the customer buys vinyl lettering for scrapbook covers or the sides of a pickup truck, craft stores should support their diverse applications with transfer tapes that are just as versatile. TransferRite not only works well on a variety of vinyls and target surfaces, but is also reliable when used in conjunction wth many types of printed inks and coatings. With more possibilities available to the vinyl graphics consumer, the more happy sales the craft store can expect. "Many craft stores have trouble selling to millennials." Regardless of the joy crafting brings to people who do it, the fact remains: A craft store is a business. According to the Craft Industry Alliance, many industry retailers have trouble figuring out how to sell to their products and services to millennials. Are you struggling too? Why not develop a social media-driven catalog of pre-made vinyl decals. Updated affordable designs could demonstrate how "with it" your craft store really is, thus attracting younger shoppers. Say good-bye to peace signs and hello to hashtags. Another reason craft stores can't quite get millennials involved could have something to do with failing to treat these consumers as business-to-business clients. Think about it: With the rise of sites like Etsy and Pinterest, young artists stand as good a chance as ever to appeal to a wide audience and make a reasonable income from the art they create. TransferRite products deliver as many benefits to the self-employed end user as to the craft store that stocks them - namely, ease of application and consistency of quality. 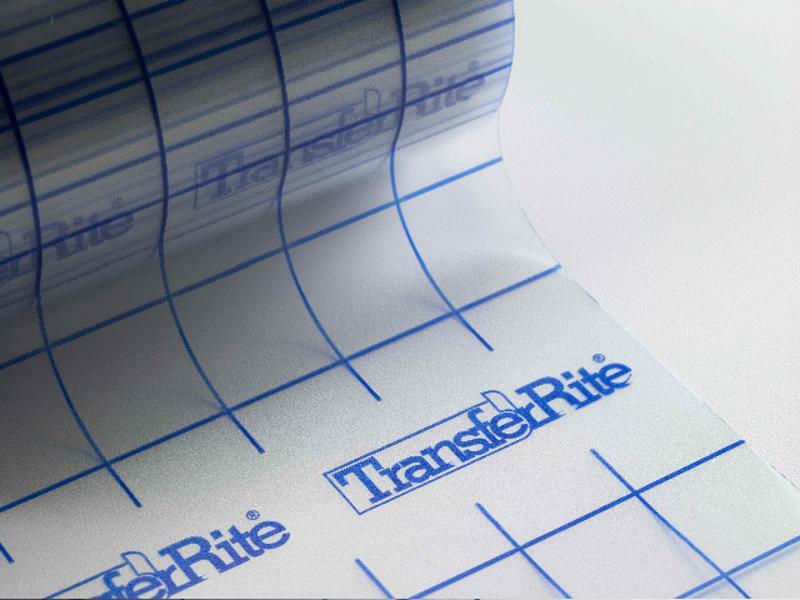 TransferRite also comes in short 10-yard rolls and sheets, perfect for small batch runs or individual units. By stocking dependable products, you ensure artists spend less on problematic goods and wasted time, all while profiting off their imagination and spirit.